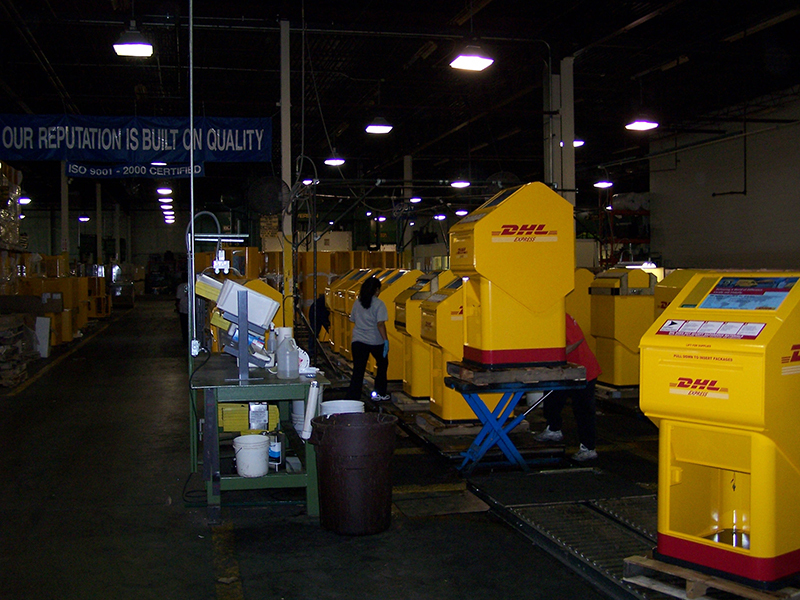 Postal, Parcel & Storage Industry Products - Alpha Products Inc.
Alpha Products has several partners in the Postal and Parcel Industries, including Postal Products Unlimited, a large distributor of all products related to mail delivery. 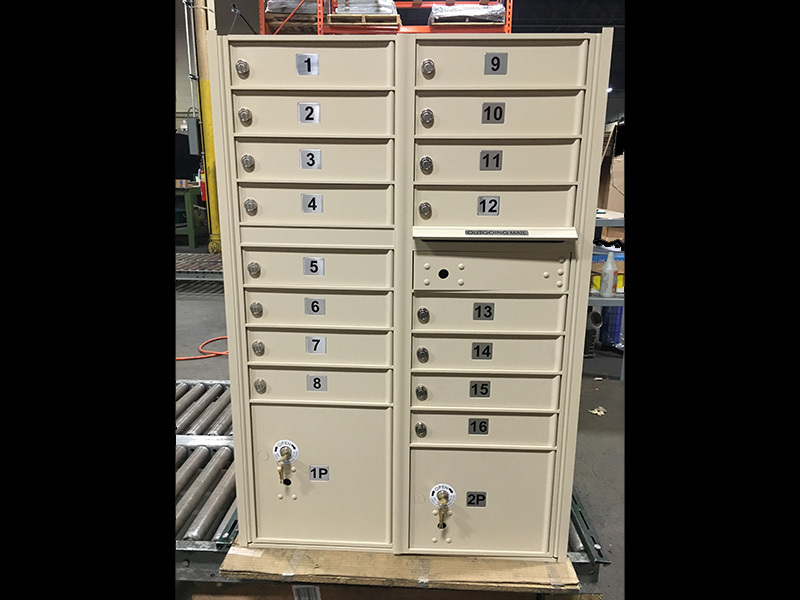 Alpha manufactures many of their products, including the USPS Approved 4C High Security Box, the USPS Approved F-Spec Cluster Box Unit, and the Mail Vault. 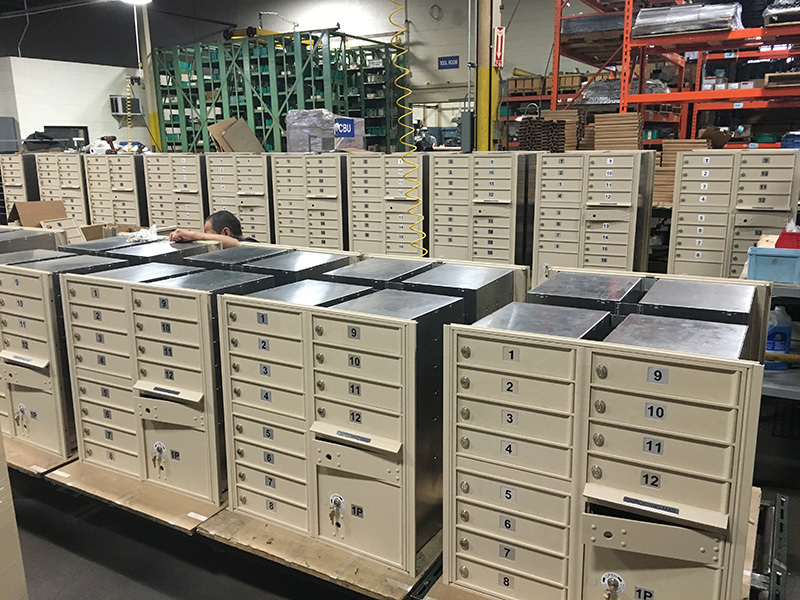 Together, Alpha and Postal Products are one of only three licensed providers of the F-Spec Cluster Box Units. For info on these products and more, please go to mailproducts.com. For specific info on the Cluster Box Units (CBU), please go to directclustermailboxes.com. 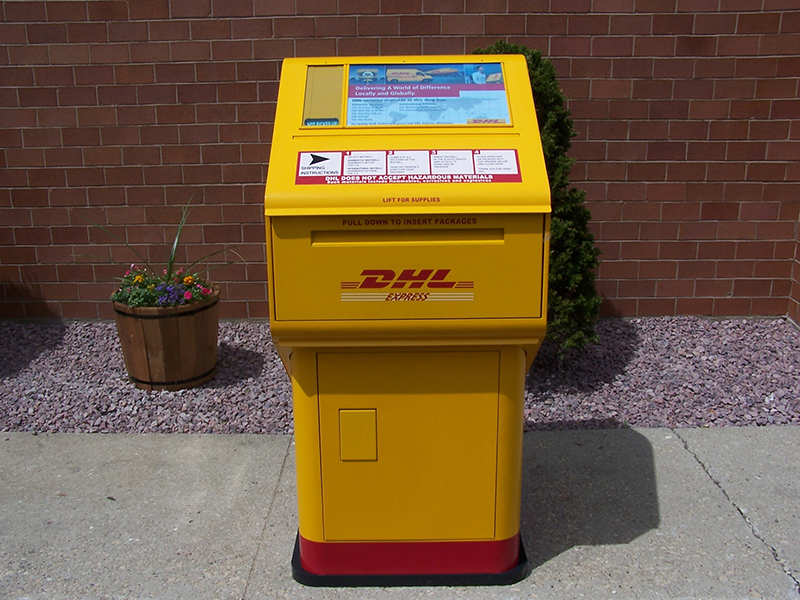 Alpha manufactured a majority of the DHL Parcel Collection Boxes currently used in the United States. By showing an improved quality and comparable pricing to overseas competitors, Alpha won 50% of the initial contract and 100% of a secondary order. 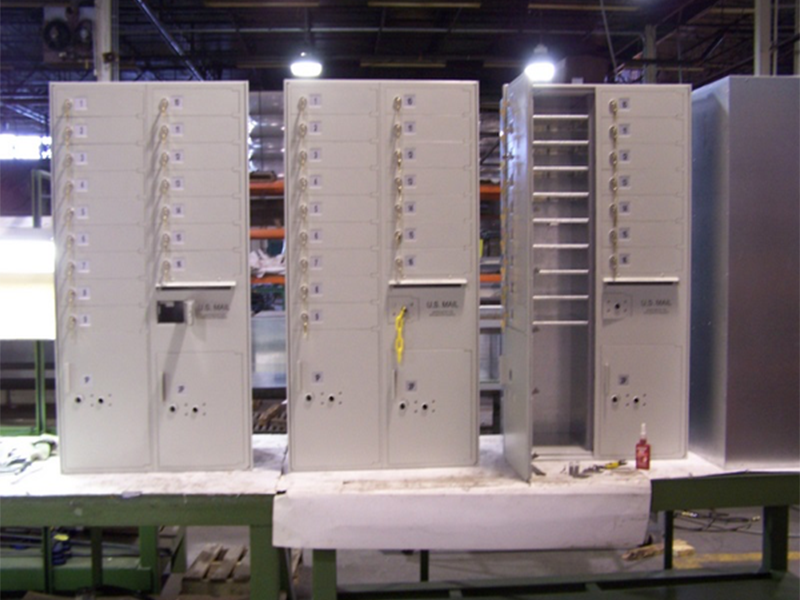 Alpha is also a custom manufacturer of storage and shelving products used in the parcel sorting and storage industries. 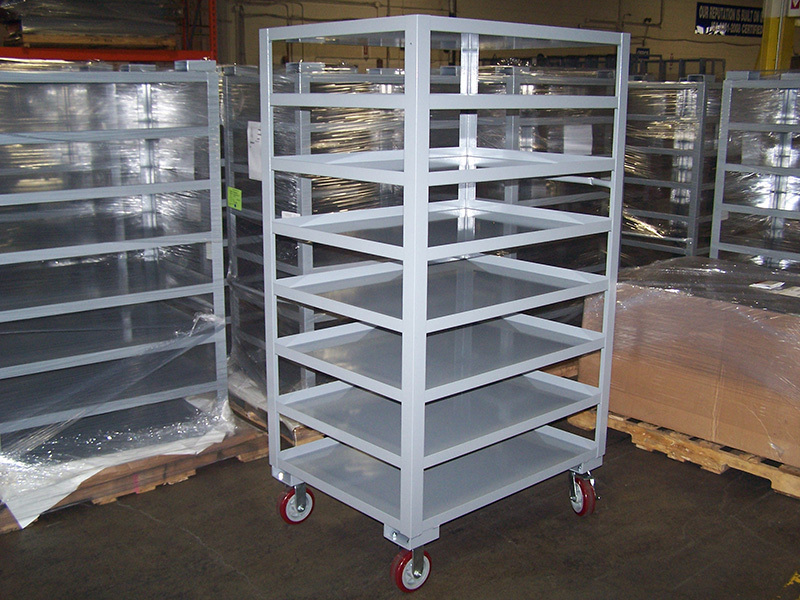 Alpha is capable of a wide range of shelving and cart configurations for any application and can assist in the design process.